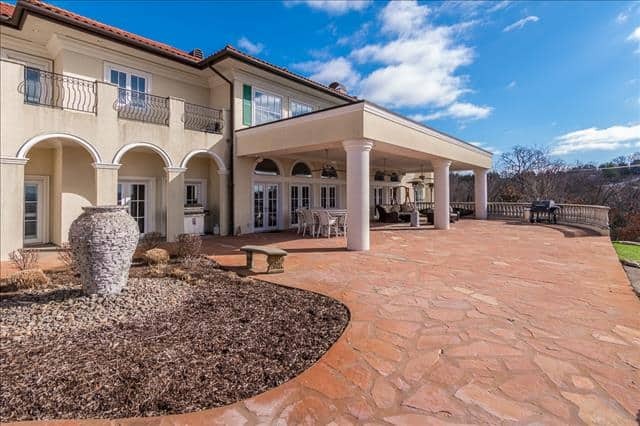 The Bella Vista Estate, a Modern-Italian styled mansion boasts almost every amenity possible in a luxury vacation rental. 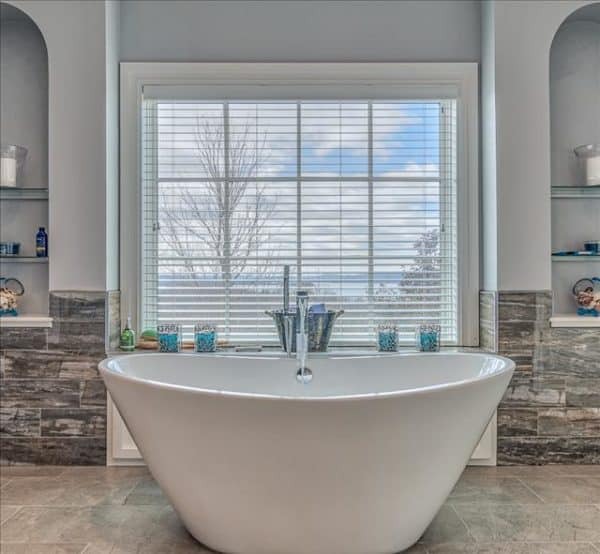 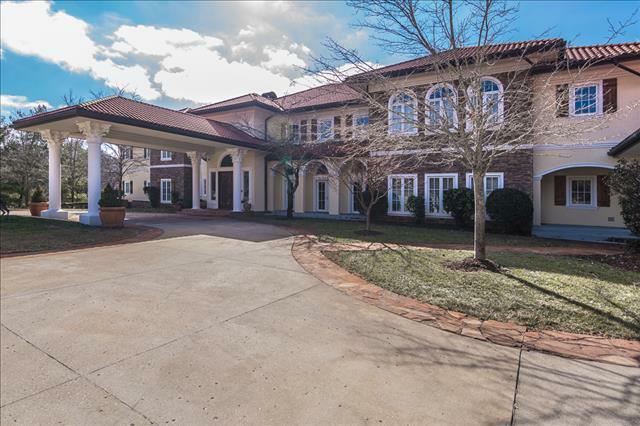 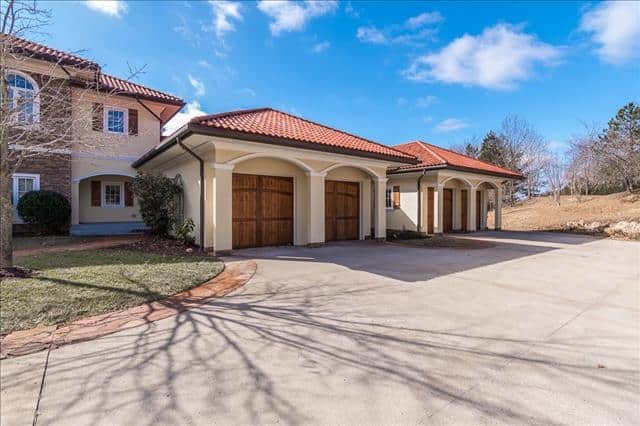 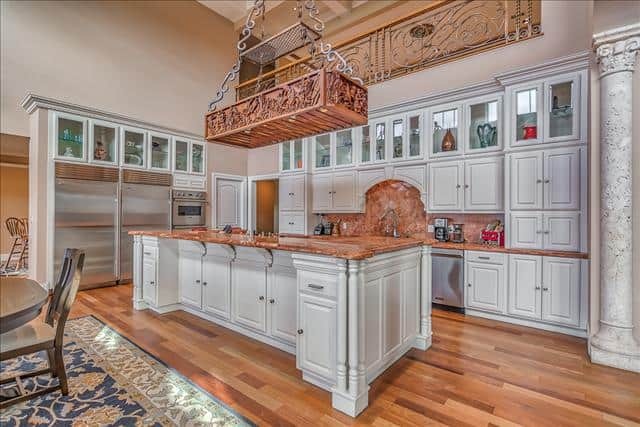 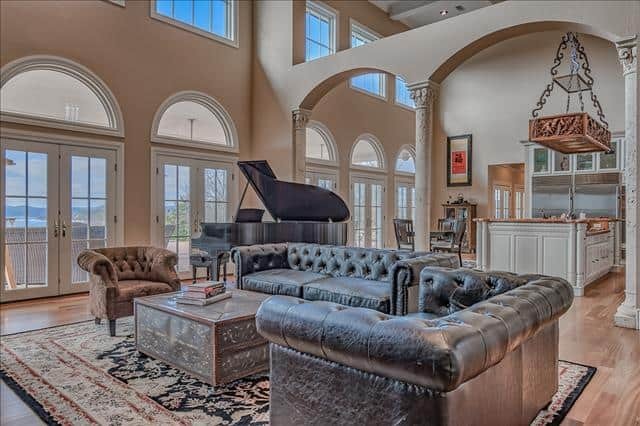 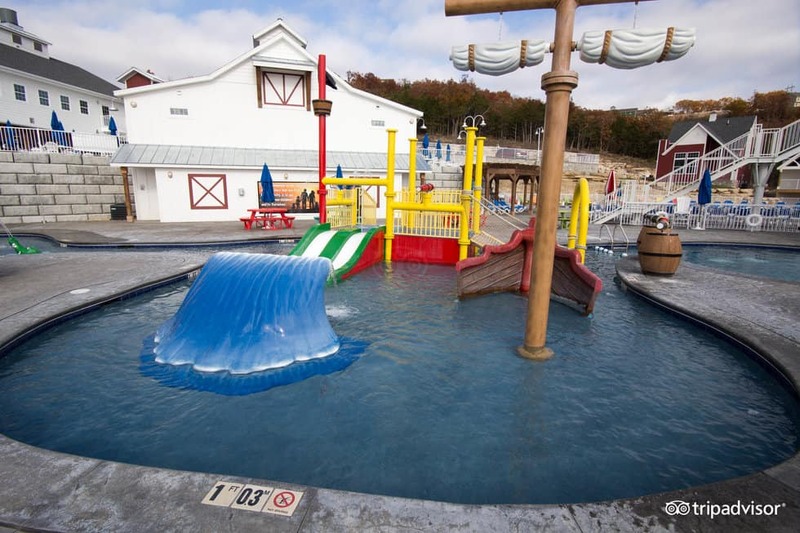 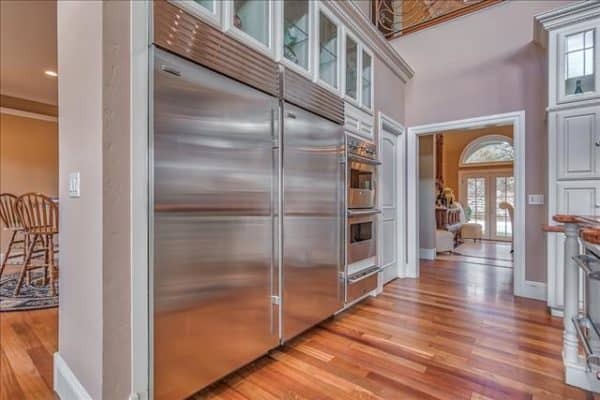 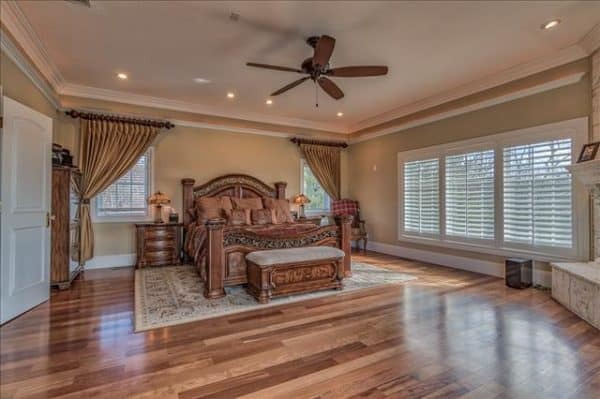 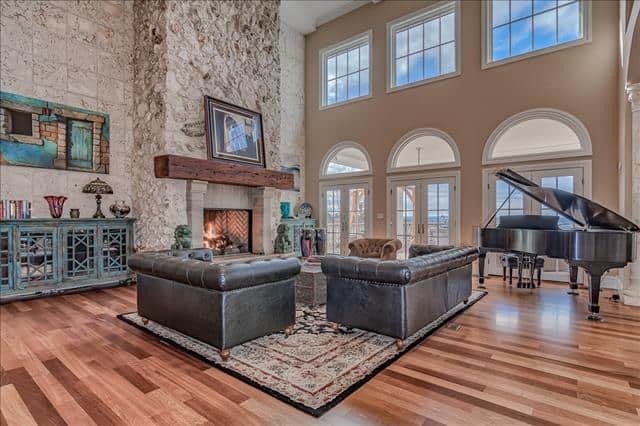 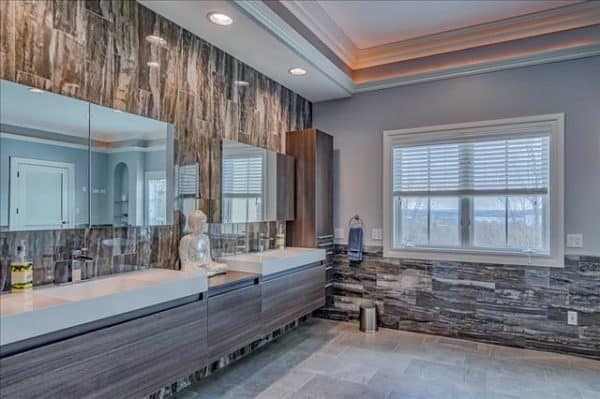 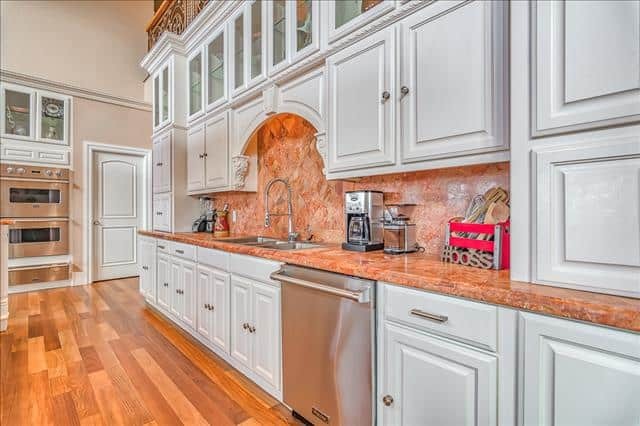 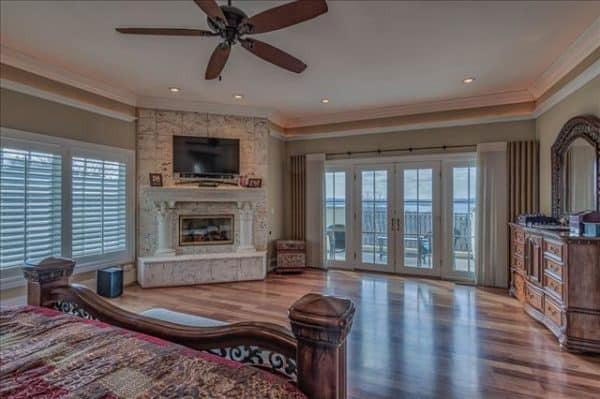 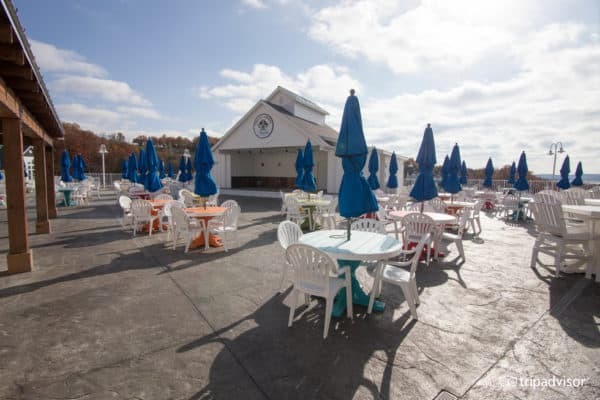 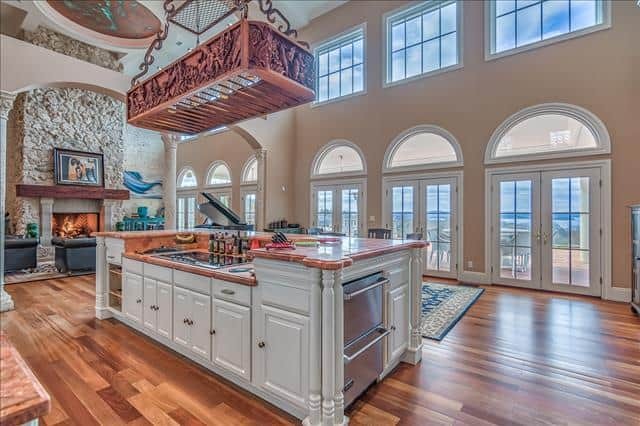 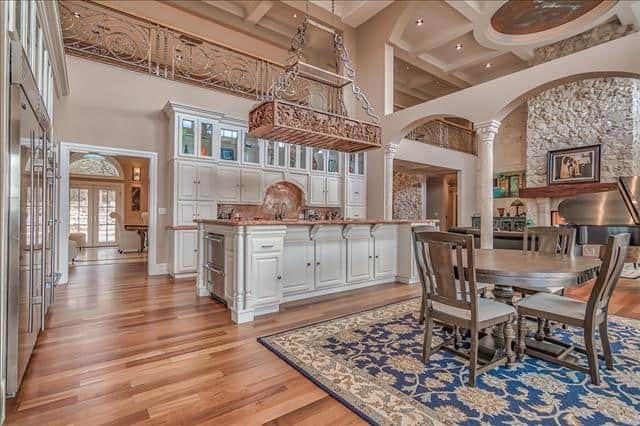 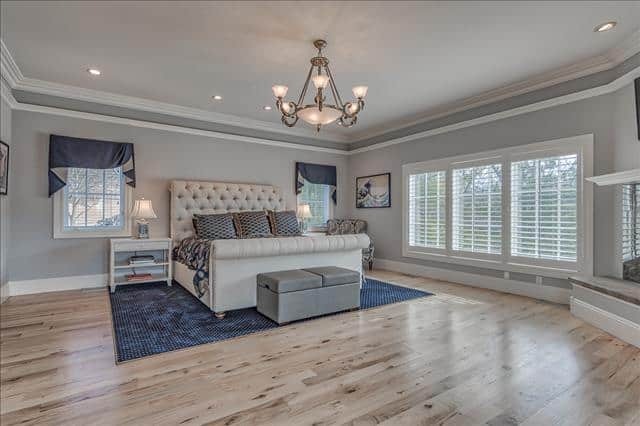 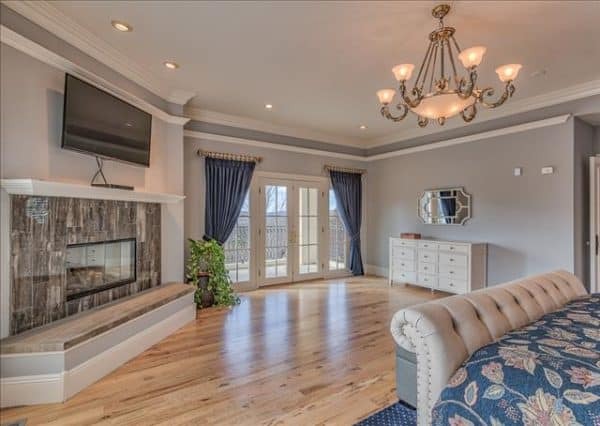 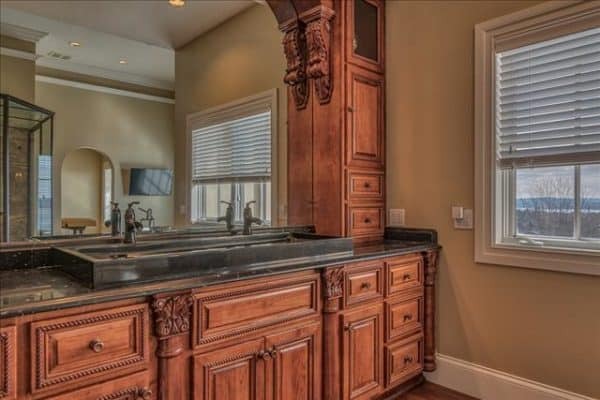 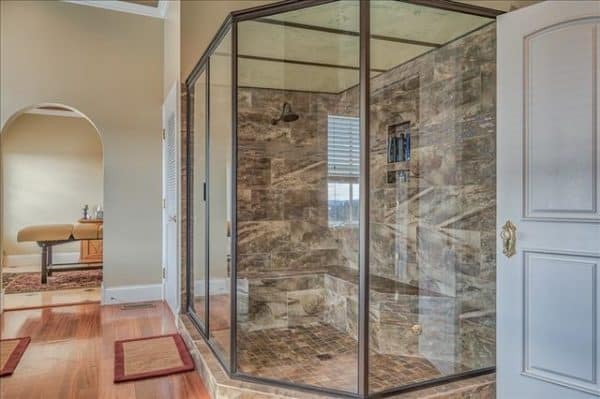 This home was built and lived in by one of the most well known Branson celebrities and showcases the largest home in Branson with over 17,000 sq ft! 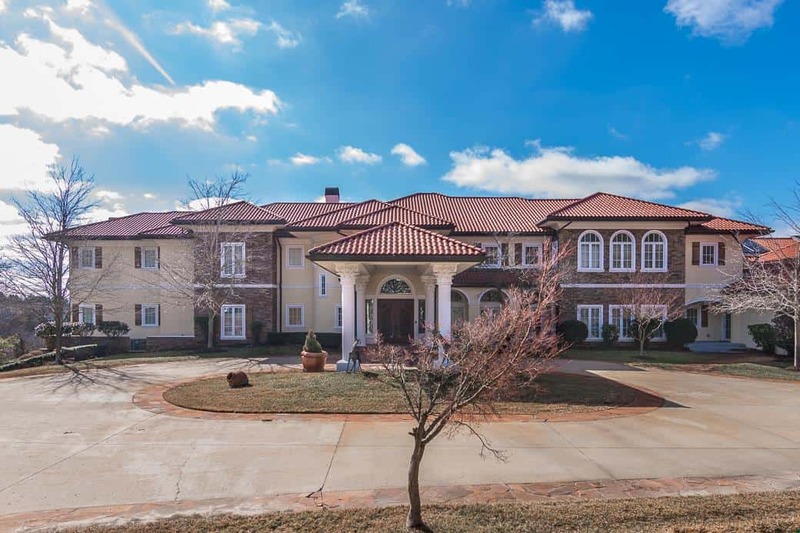 The Bella Vista has 9 Bedrooms and 9 Bathrooms. 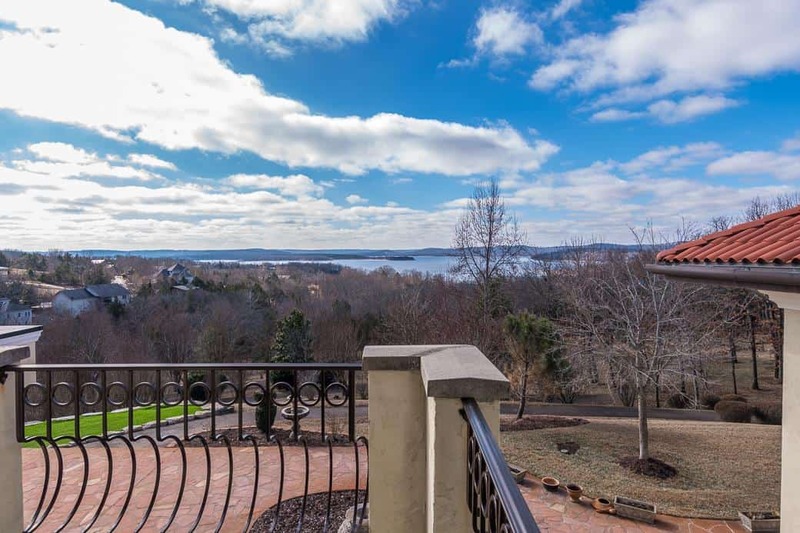 There are two extremely spacious master suites on the south wing with private verandas and great views of Table Rock Lake. There are two other spacious masters on the north wing, one with a King size bed and the other a queen. 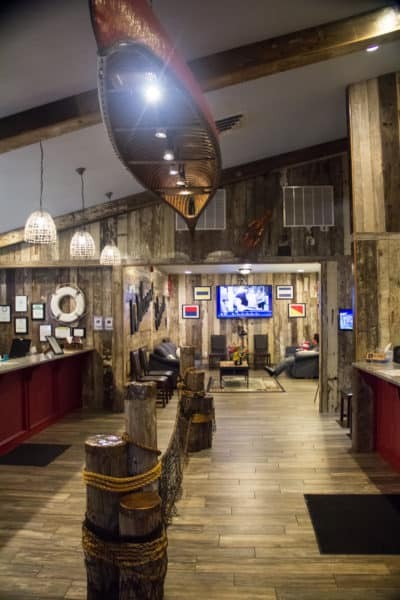 The basement is going through an extensive remodel that will provide two massive bunk rooms that will sleep 8 in each room. 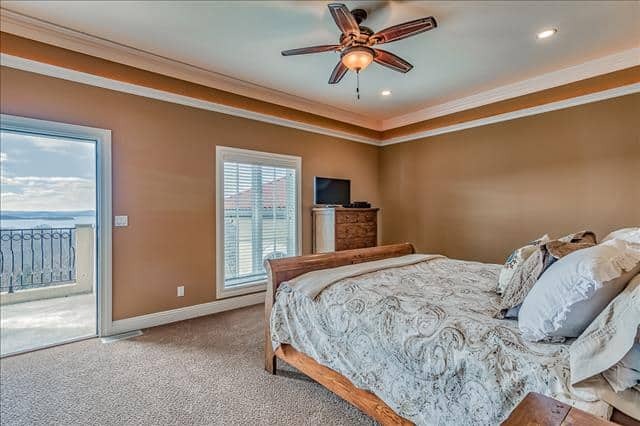 There will also be two other queen size bedrooms in the newly remodeled downstairs area. 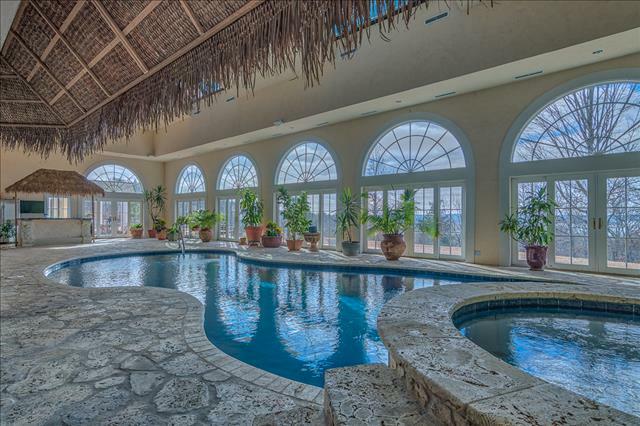 One of the best highlights of the Bella Vista Estate is the incredible resort style private indoor heated custom pool and hot tub. 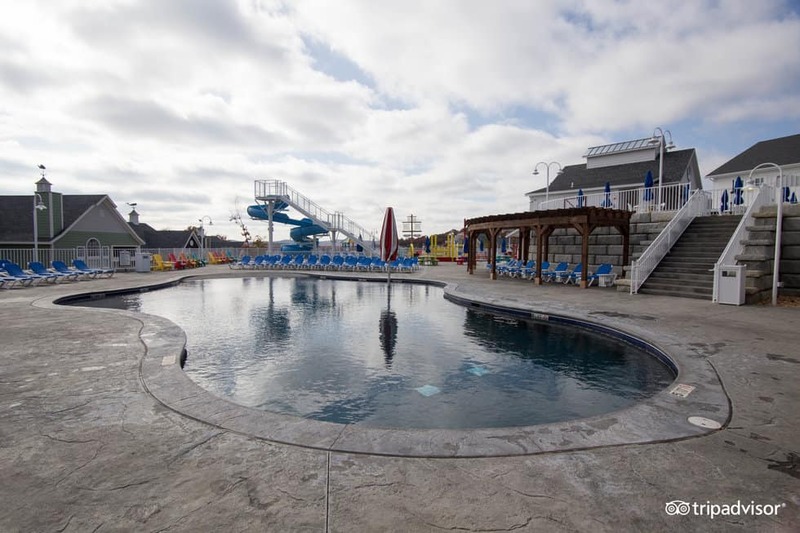 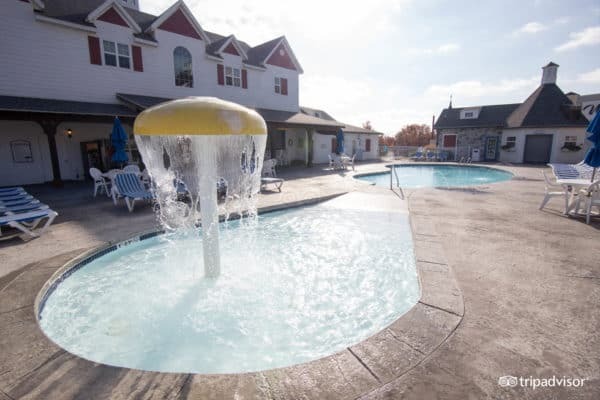 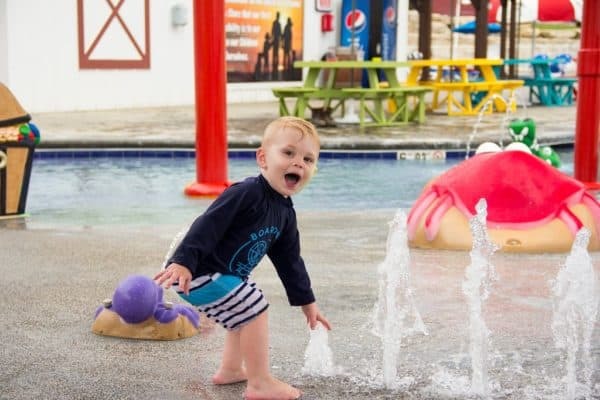 The enormous solarium that the pool resides in is attached to the main home and protected by electronic entry doors that keep the little ones safe and you the peace of mind you deserve. 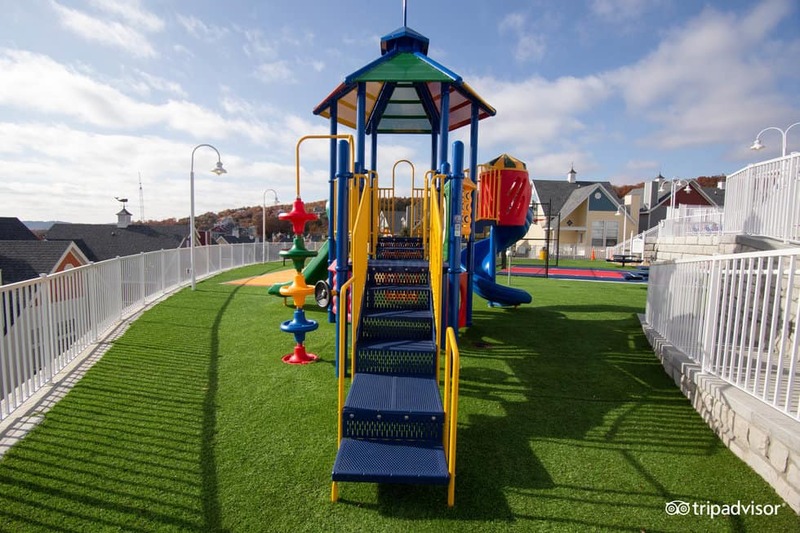 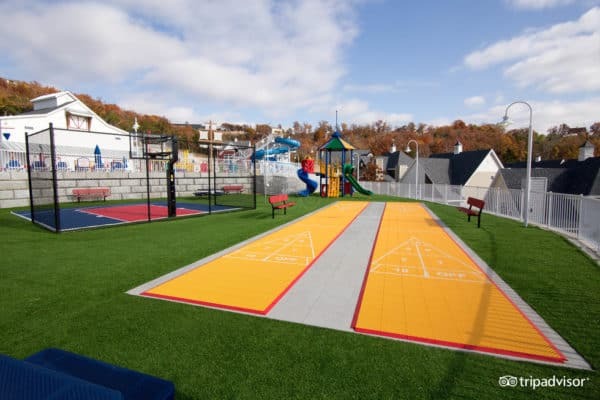 On those warm and sunny days, you can venture outside on the meandering path that leads you to the full-size private tennis court/basketball courts. 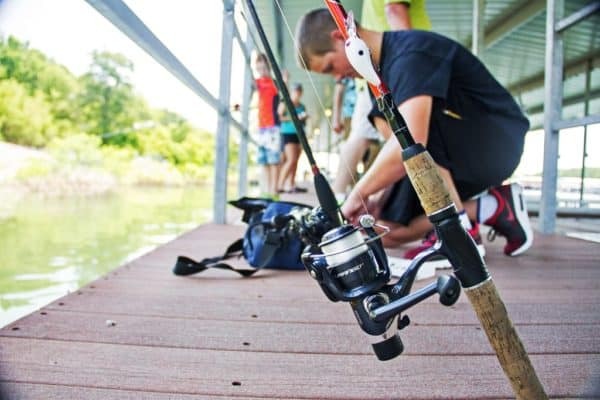 When you’re not taking advantage of all this home has to offer, take a short stroll down to the lake for swimming and fishing! 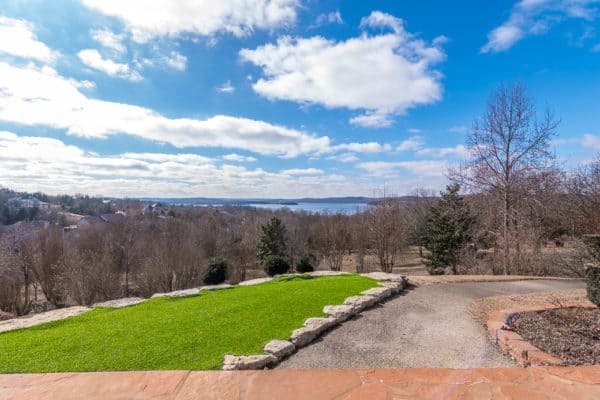 Walk down to the edge of this magnificent 9-acre property and less than one block away awaits the beautiful shoreline of TABLE ROCK LAKE. 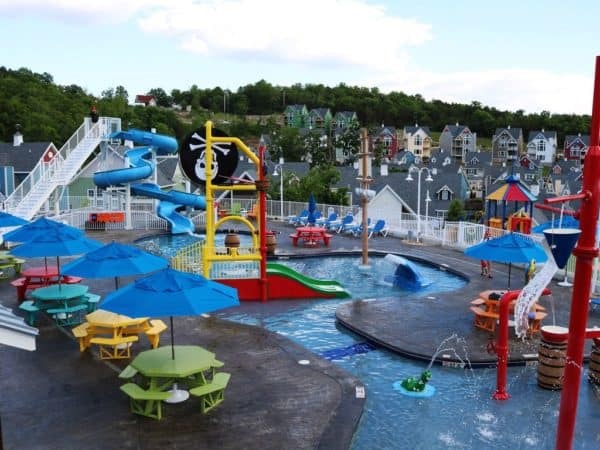 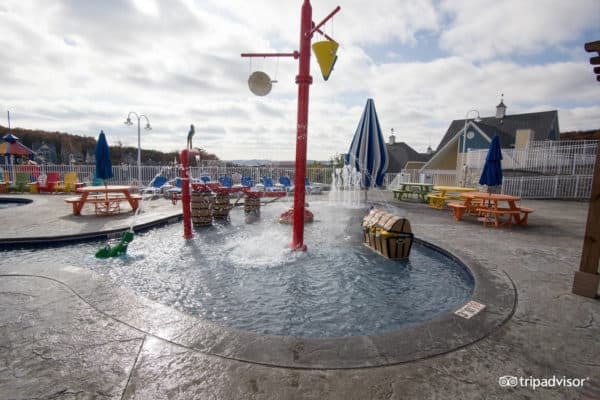 There have been dozens of Hollywood celebrities that have visited and stayed here at the Bella Vista. 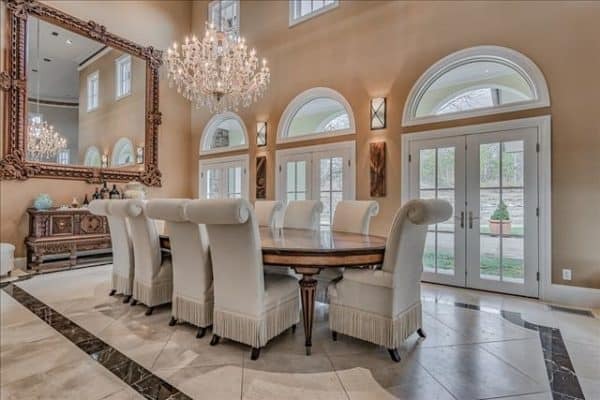 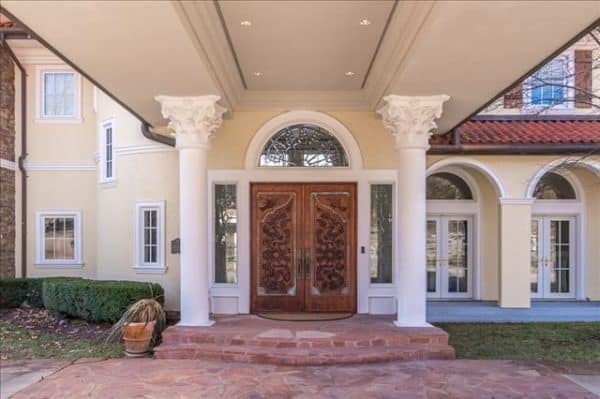 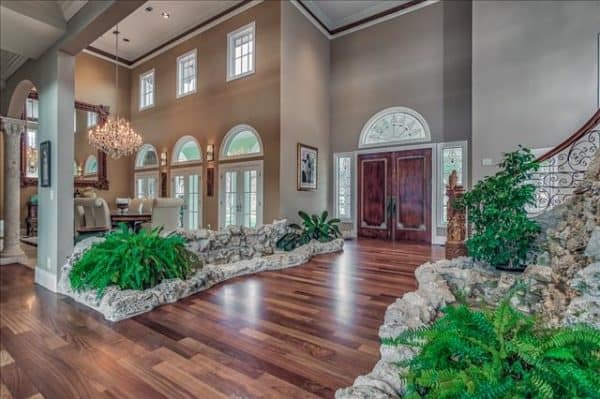 You will also feel like a celebrity the minute you walk into the foyer of this magnificent estate!